Open to all levels, swimmers focus on learning to swim independently. Lessons will focus on high volume and repetition to learn basic and advanced skills through games, play, and progressive instruction. Weekday and weekend classes available. Sachs Recreation Center has a four lane, 20-yard indoor pool. 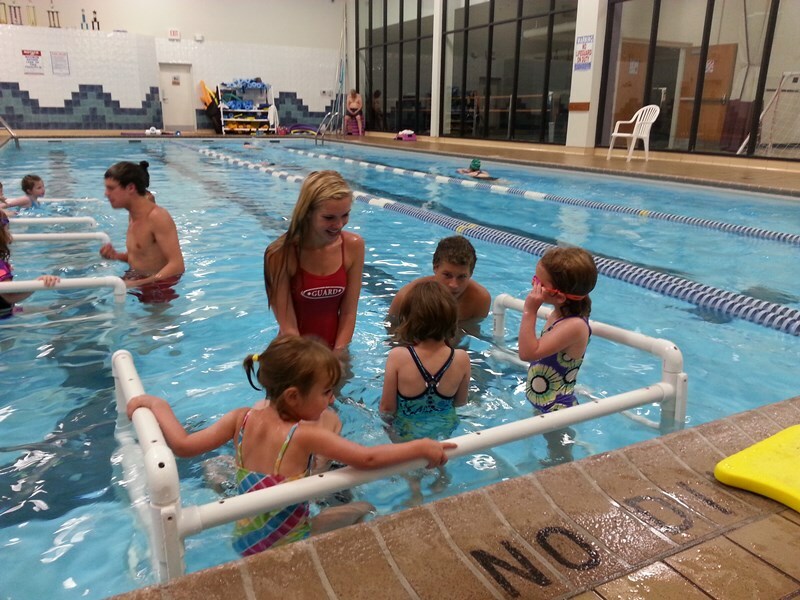 Swimmers may enjoy Group and Private swim lessons. You may register for Learn-to-Swim classes at JPCC or at SRC, by mail, online, or by fax. Participants are allowed one make-up class during the session. The Illinois Department of Public Health requires that all children who are not toilet trained must wear swim diapers and tight fitting rubber/vinyl pants under swim suits. This rule will be strictly enforced. If you are interested in private indoor swim lessons call Jeff Napolski at 847-572-2626 or jeff@teamcoho.org. Open to all levels. Students will be placed in like skill level groups on the first lesson by staff. Outdoor swim lessons are endorsed by COHO Swim Club and are the same lessons offered indoors at Sachs Recreation Center Pool. The Deerfield Park District adopted the Starfish Swimming learn-to-swim program in 2015. Starfish Swim School is an internationally recognized swim instruction program that provides a complete learn to swim program from infant through competitive swimming. Our program is open to all levels. Students will be placed in skill level groups on the first lesson by staff. To register in person for Learn-to-Swim classes, you may do so only at our registration office or online at www.deerfieldparks.org, not at the pools. You may also register by mail or by fax. Deerfield Park District residents will have preference in all classes. No Learn-to-Swim refunds will be issued due to bad weather. If the weather is questionable for swim lessons, call Mitchell Pool office: 847-945-7760 15 minutes prior to your scheduled class to see if lessons will be held. Makeup classes will be scheduled on Friday’s or at the end of the session. Notice: Swim lessons from June to August are held in our outdoor pools. Learn More. Private Swim Lessons are offered at both Deerspring and Mitchell Pools. We offer them in packages of 5 lessons or 10 lessons. Please call 847-945-0650 for more information. The Starbabies & StarTots course introduces infants and toddlers to the water in a fun and loving environment. Parents or caregivers are taught the proper techniques to teach their infants and toddlers how to floats, submerge, move in the water, and rollover. Classes incorporate songs and activities to meet the swim skill benchmarks. Safety skill benchmarks are designed to educate the parents or caregivers. The Starfish Swim School courses are designed for pre-school and youth students to focus on meeting core competencies required to develop efficient swimming skills and age appropriate safety skills. This may include: trust & submersion, body positions & air recovery, forward movement & direction change, rotary & integrated movement, functional & survival strokes, and age appropriate safety Skills.